As you take a bite of the juicy plump shrimp and sweet pineapple you are instantly transformed to a tropical vacation. 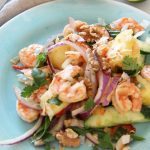 When you are in need of a happy bright meal that will make you instantly relax and smile make this shrimp salad. It is so juicy and tropical. Also you will love how easy it is. This recipes is inspired by one of our top NYC restaurants we eat at. Tom and me go to this amazing restaurant called Pig and Kho in the Lower East Side in NYC. They had a version of this as a special and it was so good that I went home and started testing out my own recipe. I remember being in the loud trendy restaurant instantly feeling refreshed and as life was becoming more vacation like every bite. 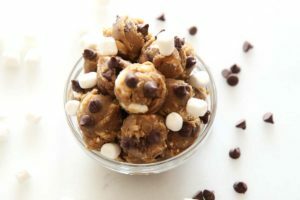 May this recipe makes you appreciate life and the simplistic fun you can have with good food and happy thoughts. 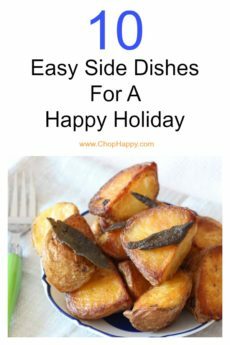 I am always super grateful to cook with you and I hope you love this recipe it makes you and your family smile. Add all shrimp ingredients to sheet tray, mix, and spread out. Place in oven for 10 minutes. Then set aside. Next, make the dressing by mixing all the ginger dressing ingredients in a bowl. Set aside. 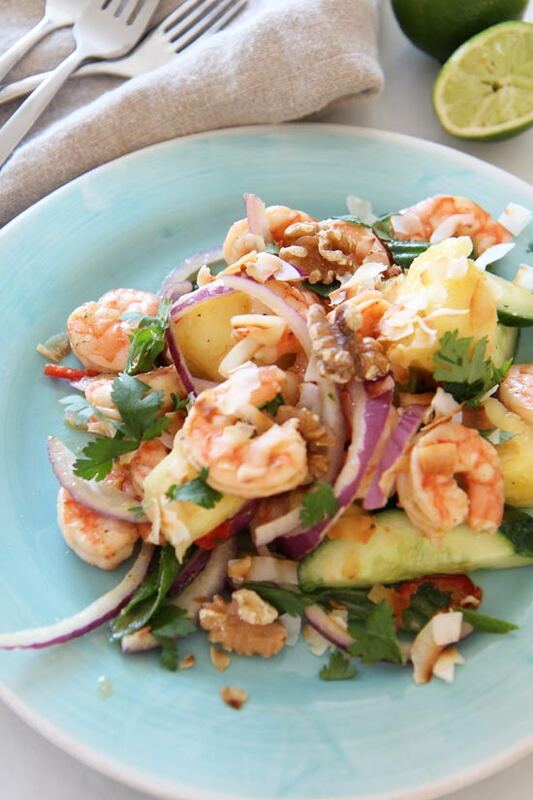 Now, add the cooked shrimp, cucumber, scallions, red onion, fresno chili, cilantro, pineapple, and lime to the dressing. Mix all the ingredients together and top with toasted coconut and walnuts.